Insurance specialist Horwich Farrelly has recruited the entire Greenwoods large and complex personal injury team, among a total of seven partners and 36 other staff, from Parabis. Parabis Group, the private equity-backed alternative business structure, was broken up into pre-pack sales yesterday after entering administration. Malcolm Henke, the former senior partner of Greenwoods under the Parabis umbrella, told Legal Futures that Greenwoods staff in London and all of those based in Southampton would be joining Horwich Farrelly. Mr Henke, who has become head of catastrophic injury and large loss at Horwich Farrelly, said Parabis’s founders, trading as Plexus Law Ltd, would retain the property department of Greenwoods. “Not only are we relieved, but we’ve found a home where what we want to achieve will happen,” Mr Henke said. Mr Henke said he was looking forward to leading “what is now undoubtedly the largest and most experienced catastrophic and large loss team in the market”, and helping achieve further successes for insurers. 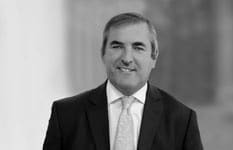 Rod Evans, former president of the Forum of Insurance Lawyers (FOIL), will head the Horwich Farrelly office in Southampton. Ronan McCann, partner at Horwich Farelly, said Mr Henke had an “enviable reputation” in the insurance industry and had been “stalked by many of our competitors” over the years. On the claimant side, personal injury firm Carpenters, has clarified that it has taken over all RSA claimant work from the Parabis Group. Along with RSA, formerly Royal and Sun Alliance, Carpenters has also said it will be providing claims and legal services to car lease firm Motability Operations. In a separate development, medical negligence specialists Fletchers is aiming to become a Top 100 firm by 2018, with a turnover of over £20m, after reporting a £1m rise in revenue for the last financial year. The 9% increase takes the firm’s revenue in 2014/15 to £12m in 2014/15. However, profits at the firm were £1m, down from £3.2m the previous year. Chief executive Ed Fletcher said: “The firm continues to be focused on becoming number one in the industry in our three core areas of medical negligence, serious injury and motorbike accident claims. “As a result, we are striving to achieve Top 100 law firm status by 2018, and in order to do so we are currently re-investing heavily into the business to ensure we reach our goal in the right way. “We want to grow, but retain everything that Fletchers stands for, and that requires significant investment.